Our clinic staff always welcomes you with a smile. 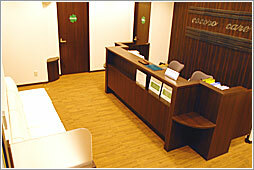 Upon arrival, please let us know if it is your first visit to our clinic. On return visit, please submit your patient’s registration card. 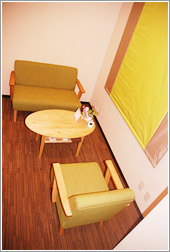 We provide clean white sofas inside of a muted colored clinic. 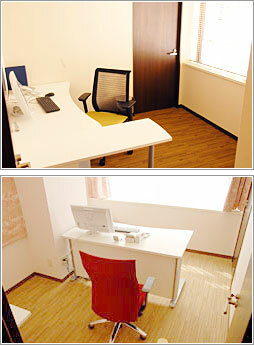 We have also set up partitions to protect our patients’ privacy. We take care to provide medical examination considering our patients’ individual circumstances and expectation of privacy. We would like to create a proper atmosphere so that our patients can easily talk to us about their problems and symptoms. We also discuss proposed medical treatments with our patients so that the patients fully understand and willingly accept our recommendation and advice. Our clinical psychotherapist will carefully evaluate our patients' problems, gathering clues to help formulate ideal solutions.